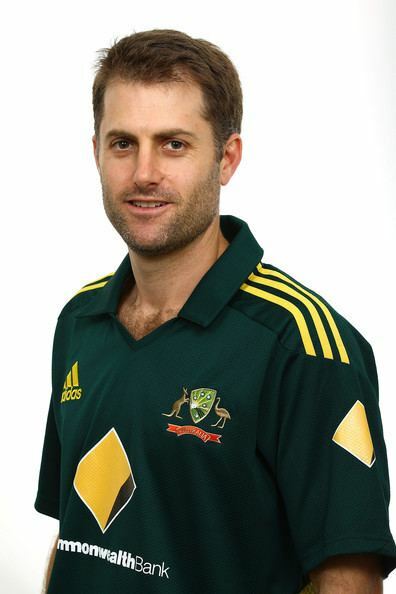 Simon Matthew Katich (born 21 August 1975, Middle Swan, Western Australia) is an Australian cricketer. He is a former captain of the New South Wales Blues, and also captained, up until the end of the 2007 season, Derbyshire County Cricket Club. In England he currently plays for Lancashire and represents birth state Western Australia in Australian Domestic Cricket. He has also played for the Indian Premier League team, Kings XI Punjab. He is a left-handed opening batsman and part-time left arm chinaman bowler. He played 56 Test matches for Australia from 2001 to 2011. On 12 June 2012 Katich retired from first class cricket in Australia, but returned to play for Western Australia in 2013. Katich was an AIS Australian Cricket Academy scholarship holder in 1996. and made his debut for the Western Australia state team in the 1996–97 season. The following season he was a central figure in Western Australias Sheffield Shield success, scoring an impressive 1,039 first-class runs for the season. In the middle of the 2010/11 Ashes series between Australia and England, Katich injured his Achilles tendon and was ruled out for the remainder of the series. In mid-2011 the Cricket Australia Selection Panel did not grant Katich a new international contract despite Katich being one of the most consistent batsmen in the team. At the time he was dropped, Katich had an average as an opening batsman of 50.48 runs. The selectors claimed that they were planning for the future but Katich has claimed that new Australian captain, Michael Clarke, was behind his test axing due to a scuffle in the SCG dressing rooms after a Test match between Clarke and Katich. Former Test Cricket Bowler, Brett Lee claimed in his autobiography that "If you dont get on with Katich, youre a pretty ordinary bloke." Katich was given a lot of support following his axing and he said at the start of the 2011/12 Sheffield Shield season that he would score 1,000 runs in the season. Katich started strongly, hitting 2 centuries in his first 3 matches but struggled with fitness toward the end of the season finishing with 483 runs at an average of 43.9. 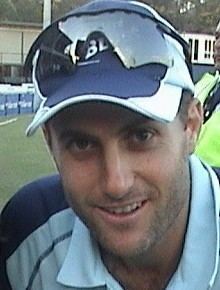 Katich attended Trinity College in Perth, Western Australia. He married Georgie Willis in May 2006. He also has a Bachelors degree in the field of commerce from the University of Western Australia. He has anosmia, which was caused by an attack of glandular fever. He is also a keen cook and learned cooking over the years from his mother Kerry. He made it to the semifinals in Celebrity MasterChef Australia, and his signature dish is crispy salmon with wilted spinach and mashed potatoes. Katich is of Croatian descent. His fathers parents were born in Croatia and emigrated to Australia in the 1920s, eventually settling in Perth. His father, Vince, was a police detective who helped play a part in the capture of serial killers David and Catherine Birnie.